The Shark Club is one of my favorite books I've read in 2017. I thoroughly enjoyed the characters, the plot line, and the mysterious crime that also takes place within the story. Brief synopsis: Maeve was bit by a shark when she was 12, the same day she kissed the boy she loved. Instead of becoming afraid of sharks, she become obsessed with them. Almost 20 years later, she's a marine biologist and the boy she loved has become part of her past. When she comes home from a research trip, she learns that not only is her past becoming part of her present, but that someone is finning sharks. This book is the story of her truly learning what she wants, while also trying to learn who is killing her beloved creatures. I absolutely loved this book. Maeve is such a brave soul in so many different ways. Hazel is a wonderfully curious and smart child. The story is smart and interesting. I don't know a lot about sharks, so I found myself Googling a lot throughout the book - and I made the terrible mistake of searching for shark finning (don't do it! ), which is when people remove the dorsal fin and tail of sharks, then throw them back into the water to drown and bleed to death. It's really terrible, and something that actually happens a lot. While not a traditional crime thriller, this novel is first and foremost a love story (family, romance, and a love of sharks), but also has a ecological crime mystery thrown in. I also enjoyed the Florida setting and the mention of how delicious Pub subs (Publix sub sandwiches from the deli) are. I really was surprised how much I loved this book. While Ann Kidd Taylor co-wrote a memoir with her mother, I was surprised to learn this was heart first novel. 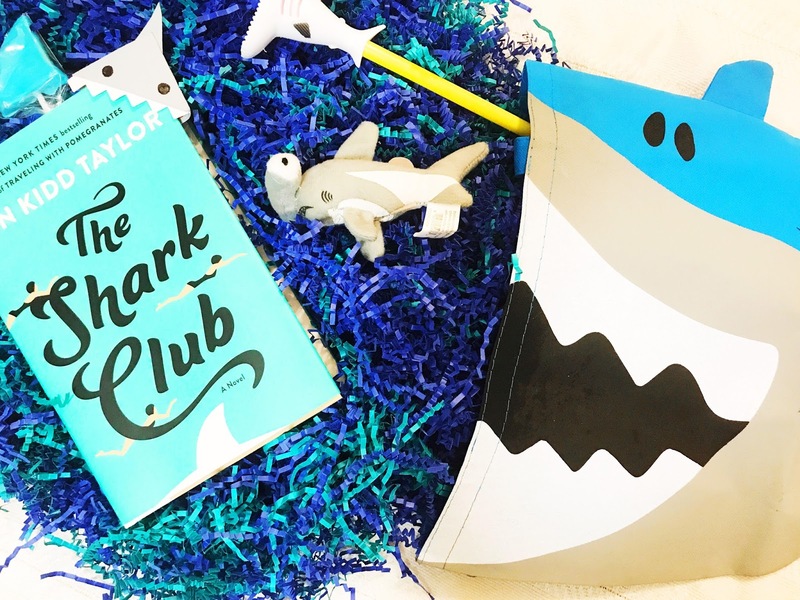 The perfect read the close out your summer, The Shark Club was smart, funny, and heart-wrenching. Thanks to Booksparks for providing me with this novel free for review. All opinions, as always, are 100% my own.